The environmental damage from the waste industry comes primarily from methane, which is produced from organic materials being disposed of in a landfill. Methane has been highlighted as one of three special greenhouse gases called Short-Lived Climate Pollutants (SLCPs). These gases may be short-lived, but they leave lasting environmental damage. For example, soot (the flaky black substance you get from burning organic matter), another SLCP, can be 4,000 times more powerful than carbon dioxide over a 20-year period, even though it only lasts in the atmosphere for a few weeks. Methane, too, is also short lived but has devastating consequences. In the next 20 years, methane is said to be 84 times more potent than CO2-this means every ton of methane traps as much heat in our atmosphere as 84 tons of carbon dioxide. The good news about these pollutants, is that they represent an opportunity to take immediate action to slow the rate of climate change. Aggressive efforts to reduce all SLCPs could reduce warming by half a degree between now and 2040, according to the U.N. Environment Programme. Globally, attention is turning to methane reductions because of the rapid results of reducing CO2 emissions. Reducing landfill methane is at the top of the solutions list. Methane is commonly cited as 25 times more potent than carbon dioxide. But this is true only when the impacts are stretched out over 100 years. When you look at the impact over 20 years, methane is a massive 84 times more powerful than carbon dioxide. Both numbers are scientifically valid because the Intergovernmental Panel on Climate Change (IPCC), which oversees the global science on climate change, calculates the impacts of greenhouse gas emissions in increments of 20 years, 100 years and 500 years. When the Kyoto Protocol was written in 1997, the 100-year timeframe was chosen as the standard measurement because scientists thought we had more time to mitigate climate change back then. Fast forward 20 years, our climate situation is much more dire and imminent: Scientists now believe that we have to reduce greenhouse gas emissions by 80 percent by 2050 to avoid making the planet uninhabitable for many species and millions of people. To state the obvious, we don’t have time to spare. We need to change the conversation right now to focus on the 20-year calculations. As a large producer of methane emissions, the waste industry should be a leading global voice for reducing methane pollution as quickly as possible given the enormous damage that can be done within just 20 years. Silverstar Casino and Gold Reef City’s efforts in waste management underscore the fundamental shift needed to eliminate methane emissions. Both casinos have moved away from just patching the problem to addressing the root cause and getting the organics out of landfills through food waste reduction, treatment and composting. The waste industry has championed more and better landfill gas capture systems as the solution to reducing methane emissions. The problem is that these systems are not immediately airtight. The EPA in the USA estimates gas capture in the first five years may be as low as zero, which means we’re already doing substantial damage to our climate. Over the lifetime of the system, gas capture rates may be as low as just 20 percent, according to the IPCC. Gas capture systems put a Band-Aid on the problem instead of addressing the root cause: Burying organic materials in landfills. The only solution is to keep all organics out of landfills by reducing wasted food, improving paper recycling, and aggressively composting. Silverstar Casino has been following the Bokashi Bran Food Waste Management System for just over a year. During that time, they have reduced their landfill waste by an average of 66% from 37 tons per month before the system was implemented to 12.8 tons. In addition, their recyclables of paper, tin, glass and plastic have improved by an average of 19%. More importantly, their saving in CO2 emissions over the past year has been a staggering 171 tonnes. In addition to the beneficial contribution to the environment, Silverstar have reported a saving of 42% in waste collection costs by following the system. Gold Reef City has been on the system for only six months and have so far reported an average saving of 57% in landfill waste. Their saving in CO2 emissions has been almost 94 tonnes. 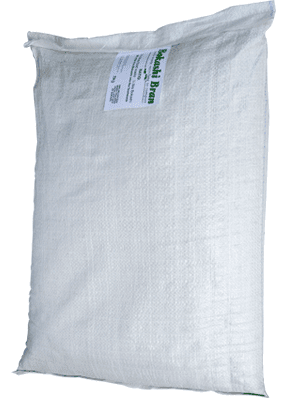 In following the Bokashi Bran Food Waste Solution, there is actually a two-fold climate solution. Firstly, the potent methane emissions are eliminated. Secondly, through composting, carbon is “captured” in our soils. This means we not only stop adding more methane to the atmosphere, but we also start pulling carbon out of the atmosphere when we add compost to soils. To ensure that we will be able to meet food demand in the future, we need to add nutrients back into our soils now. 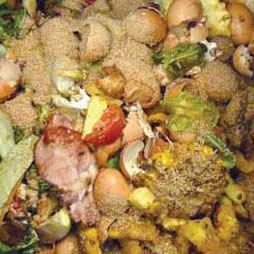 Treating food waste with Bokashi and composting it, is the easiest solution with far reaching benefits. Pollution prevention always trumps pollution reduction, and the stakes couldn’t be higher with methane. The waste and recycling industries have an opportunity to slash methane emissions and contribute to the climate solution right now.